Titan has expanded its choice of French river cruises with the addition of two new itineraries in partnership with CroisiEurope. Cruising through the soul of France, along some of the most picturesque parts of the canal network,‘Highlights of Burgundy’ and ‘Charming Landscapes of France’ offer the chance to enjoy the peace and quiet of the French countryside, gently cruising along peaceful waterways. 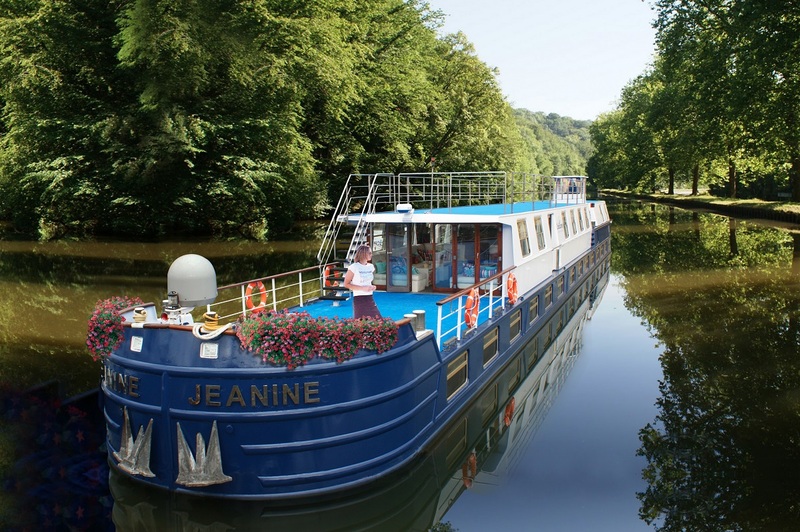 The two modern and stylish 24-passenger canal barges operating on these new itineraries, MS Jeanine and MS Raymonde, have been equipped with maximum comfort in mind for relaxing holidays. Sailing through the beautiful countryside of northern France on the famous Champagne route aboard MS Raymonde, the 7-day ‘Charming Landscapes of France’ features a number of culinary delights, including the opportunity to taste one of the most famous cheeses in the world, Brie de Meaux. Prices start from £1,899 per person based on 30 May 2017 departure, including return Eurostar from London St Pancras to Paris, 6 nights’ cruise on MS Raymonde. Sailing from Besancon, the ‘Highlights of Burgundy’ cruise aboard MS Jeanine is a 7-day itinerary offering the chance to explore the beautiful ancient villages of Dole and Petit-Ouges, see Arc-et-Senans with its Saline Royale and, as the cruise culminates in Dijon, experience the delights of Burgundy’s finest vineyards. Prices start from £1,799 per person based on 14 April 2017 departure, including scheduled British Airways direct flights, 6 nights’ cruise on MS Jeanine. Both cruises include meals, an all-inclusive drinks package and welcome cocktail party, 4 excursions and visits, the services of an experienced Titan tour manager and Titan’s VIP door-to-door travel service.